And there’s more snow on the way. Thanks to the additional snow that fell on Sunday evening, Seattle can now boast of its snowiest February on record. The total for the month now stands at 14.1 inches (35.8 cm), according to the National Weather Service. SeaTac Airport has seen more snowfall during the past week than it typically does in an entire winter. Many parts of the surrounding area received much more snow than than the normally rainy city. Wasn’t the area where is now Seattle covered by an ice sheet 20,000 years ago? Yes – about 4,000 feet (1.2 km) thick. Remember folks this is weather not climate. Only hot and dry events are climate. …Although it’s not unheard of for snow to settle on the islands, this is thought to be the lowest-altitude snowfall on record for the state – it was seen at 1,900m in Maui’s state park. Todays is dated from last year 21 oct 2018. I had a look around at some of the webcam images for Vancouver Island and instead of spring like weather there is snow. In Barrie ,Ontario we are getting snow today and after today there may be two more days of snow before the week end. Winter isn’t done with us yet. Not sure if you have seen this report on volcanic gas releases comparing Laki with the 2014 eruption at Holuhraun. 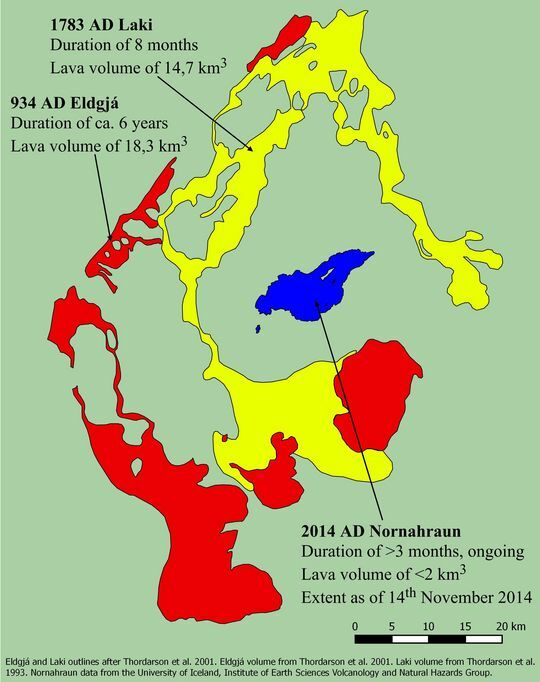 These numbers could be compared with the largest gas-rich eruption which occurred in Iceland in 1783-1784 (Laki eruption, Skaftáreldar, Móðuharðindin) and lasted 8 months. It has been estimated that during that eruption up to 122 Mt of SO2 were released into the atmosphere. Assuming a constant gas flux during the 8 months, the Laki eruption injected ~51 Mt in 100 days (5 – 15 times the Holuhraun‘s amount). The more abundant gases present are SO2, CO2, HCl, HF, H2O. They dear not mention just how much CO2 accompanies the SO2. All the brainwashed, brain dead unthinking masses believe extreme cold and excessive snow is “man made global warming” in the Progressive Socialist Utopia of King County. I wonder how the large homeless population is faring in Seattle. It will be so fun when the frozen human feces thaws. Great work Democrats of Washington. Maybe some fresh taxes would help. We live in West Olympia. Should we move? By the end of March the Jet Stream wave will have moved a couple of hundred miles and you will be on the opposite side of the Jet Steam, in the warm wet side, pity about all that melting snow, higher ground perhaps? Likewise the European drainage system is also going to be stretched in the spring. Rhine, Danube, and Rhone flooding end of March through April?